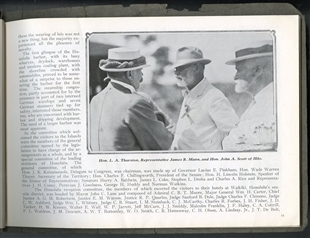 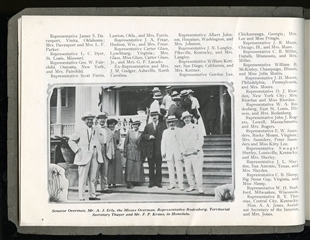 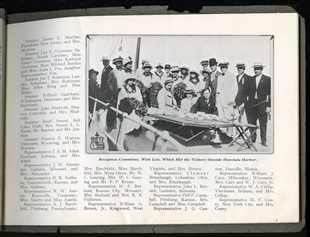 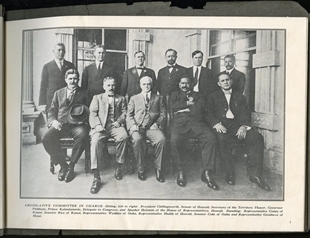 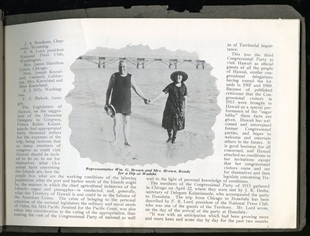 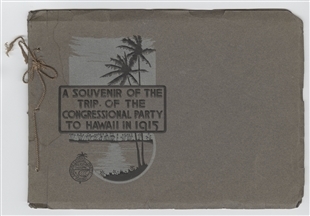 In 1915, Members of Congress and a gaggle of press took a trip to Hawaii. 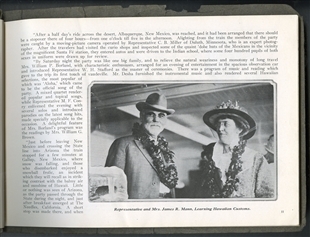 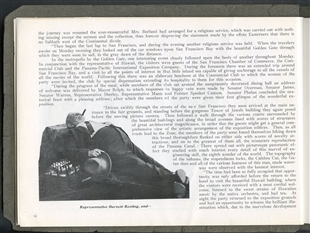 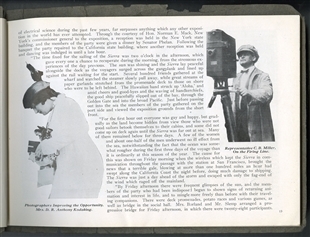 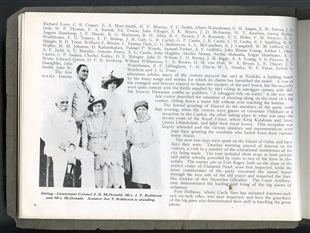 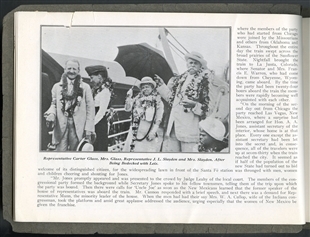 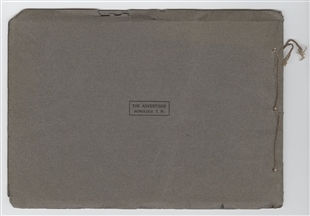 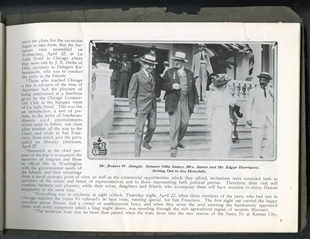 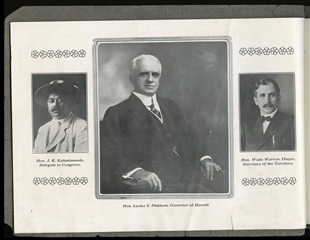 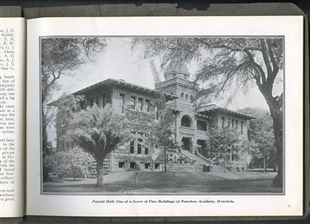 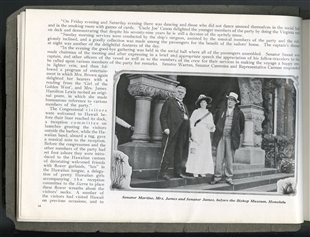 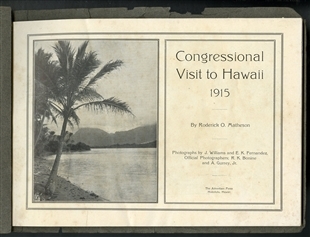 The excursion, documented in this souvenir book given to the visitors, showed that Hawaii’s Territorial Delegate Jonah Kuhio Kalanianaole was a peerless event planner. 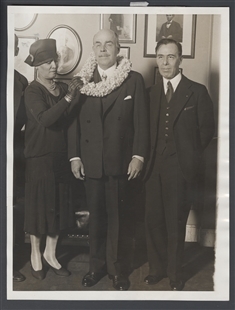 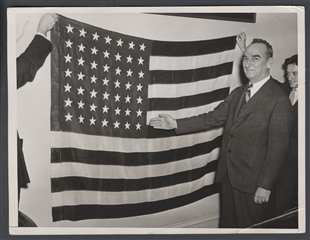 Most Members of Congress knew little of Hawaii, making the case for statehood difficult. 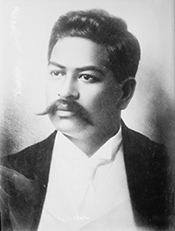 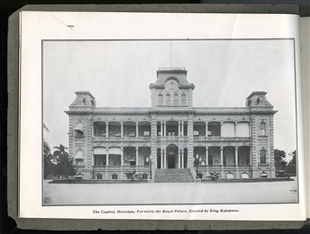 Kuhio began hosting tours to educate them on the islands’ beauty, fertility, and strategic position in the Pacific. 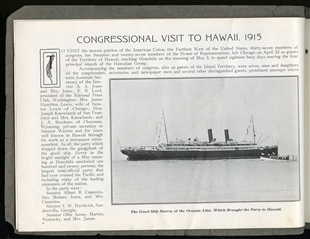 For the 1915 trip, Hawaiians sailed out to greet the congressional visitors before they reached land, presenting leis that portended a grand adventure ahead.